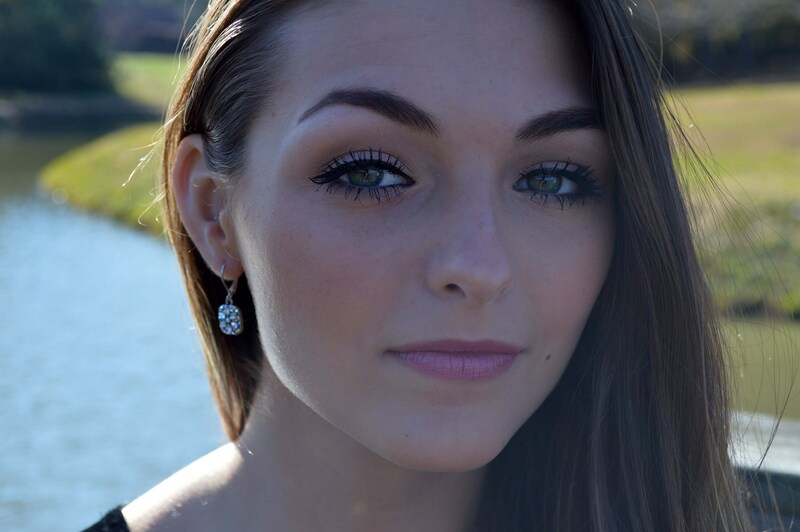 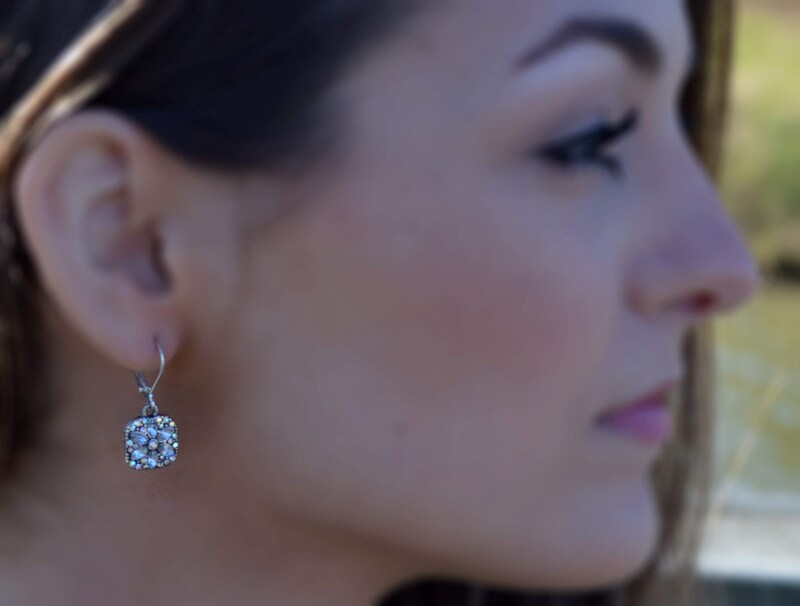 Stunning Art Deco Earrings featuring rhinestone crystals to form a flower in each earring and sprinkled with more rhinetones. 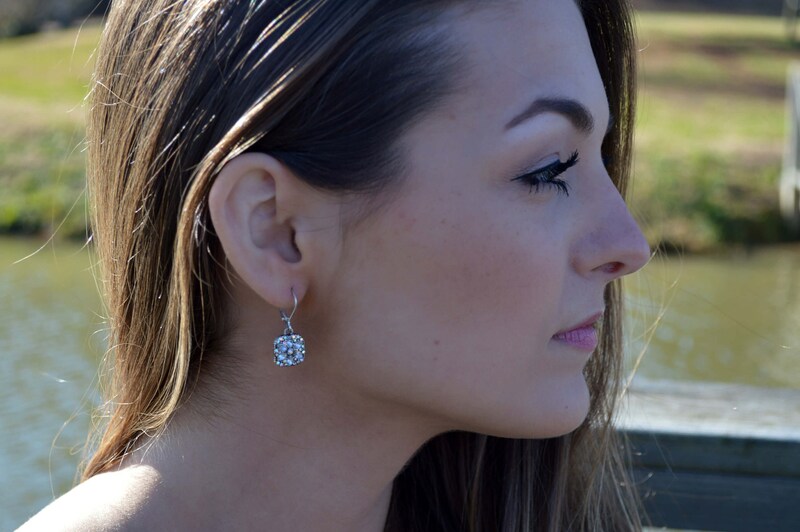 The geometric shape of these earrings help them an elegant standout pair of earrings. 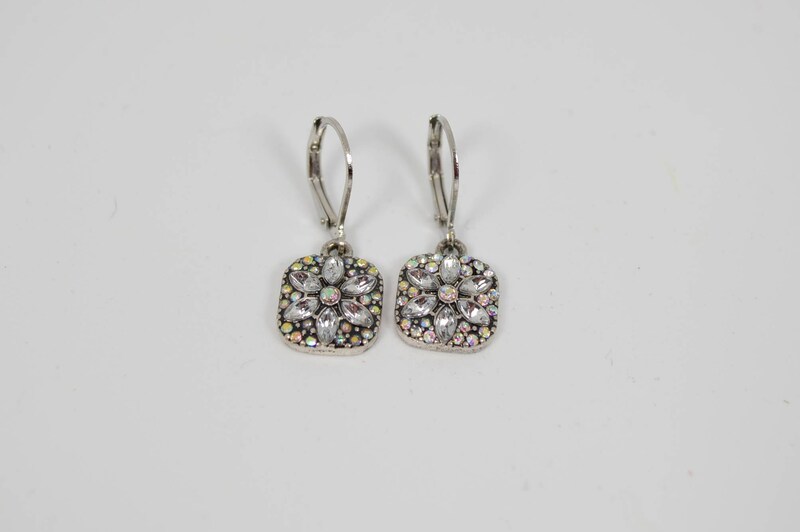 These vintage inspired earrings wear especially well with black but have such versatility you can wear them with many colors and styles.